Most people’s job titles are, frankly, meaningless. They either describe a position, such as “Human Resources Director” or they say something unfathomable such as “Chief Happiness Officer”. The fact of the matter is, most job titles are for internal purposes. They describe to people within an organisation where an individual sits within the hierarchy. Everyone inside a PR firm, for instance, knows the difference between an “Account Executive” and an “Account Director” or an “Executive Accountant”. But the outside world? Well, we couldn’t give a fig. Why? Well because what one company means by “Account Executive” is entirely different to what another business in the same sector means by that title. True, they are similar, but the jobs are frequently different. 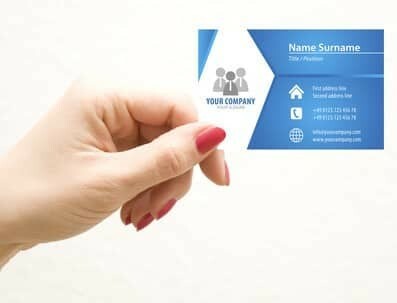 When people are handed a business card they take a look at the job title and then say, “so, what do you do?” In other words, the business card’s job title hasn’t helped them in the slightest to understand what the person actually does. However, new research suggests that our job titles – designed mainly for internal purposes and living in a face-to-face world – are no longer doing us any favours online. That’s because it appears that job titles are a significant item that marketers use to determine what kind of web experience we get delivered. According to the “demand generation experts”, Annuitas, two-thirds of large corporate businesses are now using “personas” to work out how to deliver online material to their visitors and subscribers. And one of the top ways of calculating that persona is a person’s job title. The kind of person that you are and the typical material that you consume online is hardly used, in comparison to job title. Yet, these two factors are amongst the most important in helping describe the “real you”. Your job title is just a convenient set of words to help a company decide how much to pay you and where you fit within the organisation. Bounces rates are very high on most of the web. The vast majority of web pages that we visit tend to only keep us for a few seconds. We arrive, we realise it is not for us, and we disappear as quickly as we came. One of the reasons for this rapid departure is that the web pages we visit do not match us as individuals. Those web pages are not providing what we want. One of the reasons for that is that the company building that page has a typical visitor in mind – and we do not fit that persona. Now, it appears, that one of the reasons could be your job title. If the page you are landing on has been focused on a different job title, then it isn’t for you. Yet it could be. The job title you have may be the same as the job title for someone else in a different firm, yet the kind of work you do and the type of people you are could be vastly different. It is then a game of chance as to which kind of job title the website developers thought about when they built the page. In other words, using job titles is a weak way of building a persona. Yet, it seems that this is one of the most significant things that people latch on to when building a website. If you own a website and you are working with developers on personas, then it is best to ignore job titles as a factor. They mean nothing in terms of the kind of visitor you are attracting. Instead focus on them as individuals, as people, not as “titles” and “functions” which is what most large businesses appear to concentrate on when building a website. But there is a reason for that. In the big, big corporate world, it is all about job titles. People aspire to move up the pecking order, to move from “executive” to “director” or “partner” to “principal partner”. In the massive corporate machines, it is all about status. The mistake is for these businesses to think that is what the web is about. It isn’t; it’s about delivering something that attracts and engages individual people, regardless of status. I am sure I have said this before – focus on people. It works. As for my job title – any suggestions…? Why you should change your job title to improve your web experience.